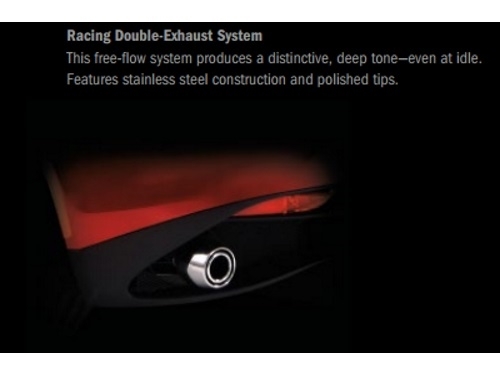 Racing Dual-Exhaust System. Try taking to the streets with this bad-boy. You will not be anything less then impressed. This free-flow system produces a distinctive, deep tone—even at idle. Features stainless steel construction and polished tips.